Sadly I missed the extremely exciting finish to the Pro race that I alluded to earlier. Adam McGill passed Chris Borich about a half mile from the finish and heading into the final turn about 40 feet from the finish line Borich and McGill came together but McGill was able to hold on for the win. This was his first win in about a year and it was only the 2nd time Borich has lost all year. It was also Adam’s birthday party that night which then turned into a celebration party. I was really happy to be there for Adam’s big win. I was not as happy to be there when Adam asked me what I was doing on the side of the course when he passed me; I was hoping he was going too fast to see me there! This type of racing works your muscles in all kinds of new and exciting ways. I like to think I am in decent shape. 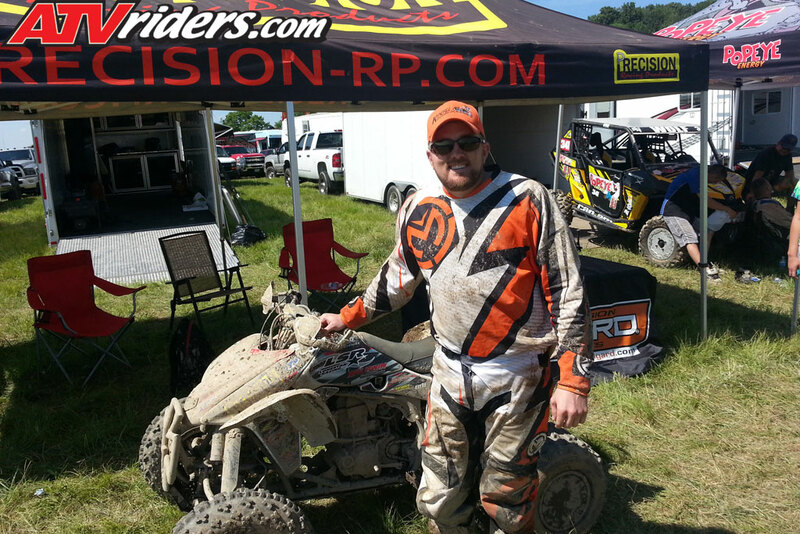 At a WORCS race I can place in the top 24 overall in the A classes and qualify for the WORCS Pro Am class and feel 100 times better at the finish line than I did at my first GNCC race. At the GNCC race if you go wide into a turn, go over a berm, or just get out of the groove you will likely hit a tree and probably end your day. In the desert if you blow a turn you might hit a grease wood or a cactus and keep on going. The margin for error seems much smaller but on the other hand in desert racing you are often over 60mph and if you make a mistake you will get badly injured. In the woods you are rarely out of second gear but there are NO places to rest, you are always turning and moving or going up a slippery hill or over some nasty rocks and trees stumps. Even the field sections are broken up into sweeping turns or hairpins. The longest straight away is maybe 200 yards long. So if you get a chance to do a GNCC or woods race I recommend training a lot of turns, desert training by pounding whoops will not help much. The celebration party was awesome and it was great talking to all of Adam’s old friends and other GNCC racers. They were all eager to hear my impressions of the course and I wasn’t shy in telling them how difficult it was. 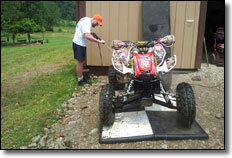 The next day we probably blew through 2 gallons of fuel just pressure washing our gear and the two quads. This wasn’t even a muddy race! In order to clean the machines you have to take off all the plastics, wheels, gas tank, etc. After a desert race I could probably clean my quad with a California car duster. Once again we got to watch the McGill show as Adam and his dad Mark went to work tearing things apart and inspecting his quad. The only damage was a very badly cracked sub frame. Hopefully the custom chrome moly sub frame that LoneStar racing is sending him will be more durable than the OEM unit. 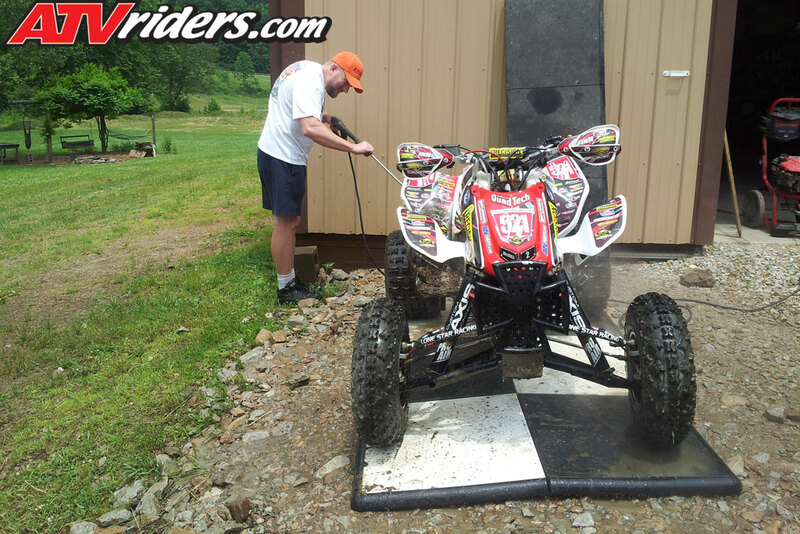 Then we watched as Adam inspected and replaced many things on the quad I had ridden because it was sold to another GNCC racer.He replaced the bumper, wheel rings, mud plugs, tires, head pipe, inspected the clutch, changed the fluids etc. Whoever is buying that machine is getting a very nice ATV and it was great to see the integrity Adam has with the stuff he sells. The entire experience was awesome, it was worth the trip just to hang out with Adam’s awesome family and get some of that homemade food and laugh with his dad (I can’t wait until he gets his own show on comedy central).His parents and friends made us feel like part of the family immediately. It was also eye opening to see Adam work his race program. He is always on the phone talking to sponsors or working with his girlfriend Hayley on the latest stuff on interwebs. I thought that I was busy when I get ramped up for a race to make sure my quad is ready but it is nothing in comparison to everything he does to make his privateer program work. 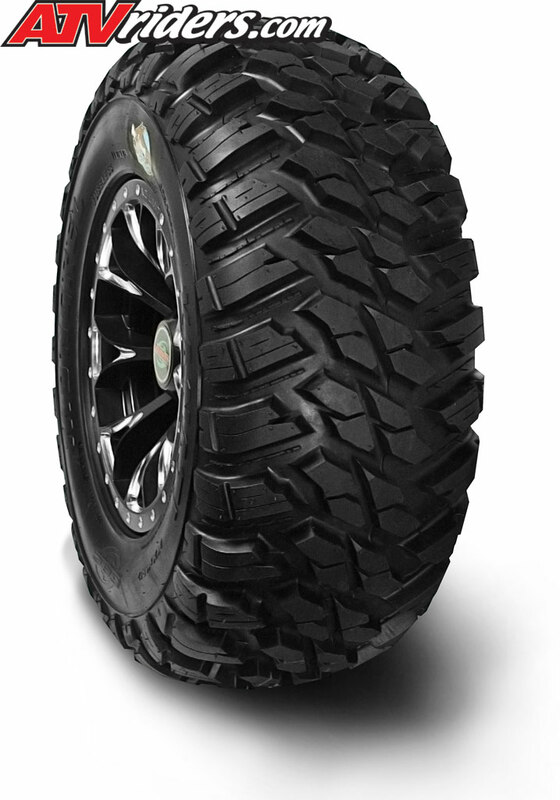 I have been asked several times already which type of racer is faster: GNCC east coast racers or west coast desert and WORCS. I don’t know the answer, I only know how it felt to me and I am not a WORCS Pro but I do well in the desert. 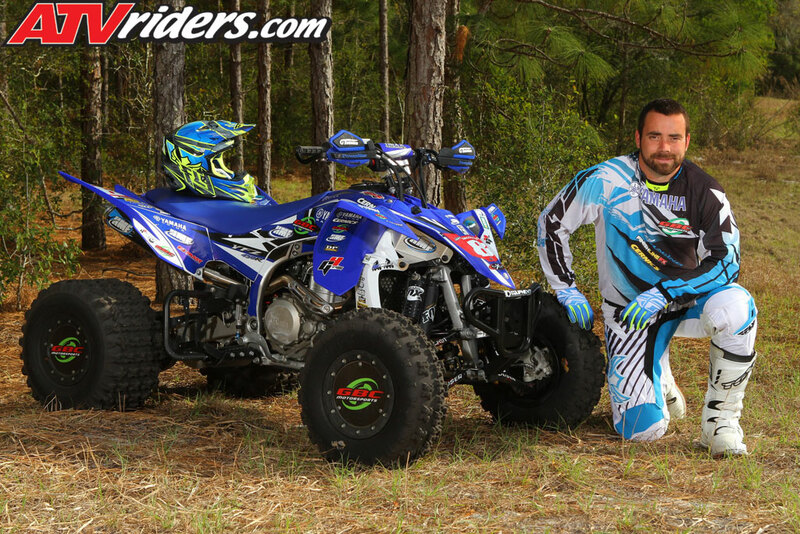 Maybe a long desert race will stress a GNCC racer in new ways like the GNCC race did to me. 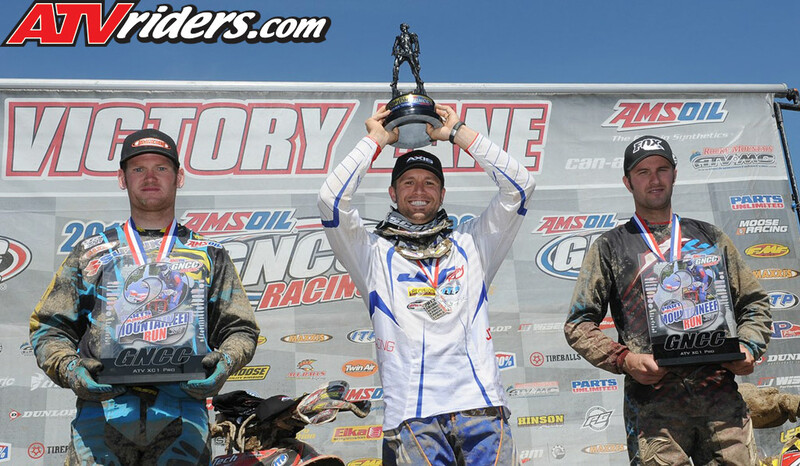 It would be cool to have a race in the middle of the country with the top GNCC and WORCS guys on the same track. The Heartland Challenge is in Idaho and I know the team of Adam McGill and Braden Henthorn will be there; maybe a WORCS team could also go. 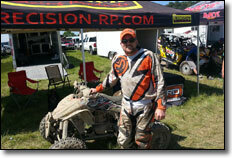 I know I will be doing more GNCC races in the future, maybe one per year. The GNCC Ironman race looks fun for next year. Maybe I can rent an 18 wheeler and get a bunch of desert guys to go out there, now that would be fun. Trent wishes to thank: Adam Barnes, Adam McGill and the entire McGill family and friends along with Adam’s sponsors: Precision Racing, ITP Tires, LoneStar Racing, Custom Axis shocks, Baldwin Motorsports, RG Honda, JT Racing, Renthal, UPP Racing, Quad Tech, Leatt, Odi, DWT, Cycra, WCD Moto, Blingstar, Kal Guard, Derisi Racing, Sunstar, IMS, Twin Air, Works Connection, ITP, Scott, All Balls, SSi Decals, FMF, Tireballs, Streamline, and Wiseco.